Letter Formation Order: Does it Matter? There are as many ways to teach letter formation as there are teachers. Each teacher draws on her experience and applies it into her classroom to give the children in her class the best chance of achieving success. 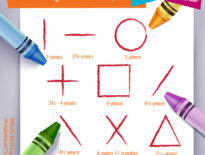 However, we are also able to draw on the developmental progression of acquisition of the foundational lines, strokes and shapes for letter formation, and together with what we know about motor learning, we can find the best ways to teach letter formation order. Letter formation is the sequence of movements followed by the pencil to form a letter. The starting position is the consistent point from which the letter begins when forming it. Why is Letter Formation Important and Does Letter Formation Order Matter? There is the school of thought that teaching letter formations together with the sounds of the letters, is the best way to go. And there is a lot of sense in that. Doing the two together reinforces the sound-symbol-formation association. However, the order of the phonic introduction doesn’t correlate with the optimal letter formation order. The optimal letter formation order is as critical as the optimal order for introduction of phonics. Early grapho-motor skills – or prehandwriting skills – have been shown to be a predictor for reading and maths in Grade 2. With that in mind, it makes sense that we would want to teach letter formations in the optimal order. Wouldn’t it be great if the optimal order of letter introduction for both phonics and handwriting were the same? But they aren’t. And we cannot decide that the phonics order is somehow more important since it supports reading, when in fact early graphomomotor skills have been shown to prime the brain circuity for learning to read. They are both critical foundations and, as such, both need to be taught in the optimal order. Grouping the teaching of letter formations by the sequence of motor movements that make up the letters, can go a long way to reinforcing correct formation patterns. We know that starting positions of letters are critical when it comes to the correct orientation of letters, as well as handwriting speed. Children who achieve consistent starting positions achieve consistent formation patterns. And, consistent formation patterns lead to the establishment of an automatic handwriting script. 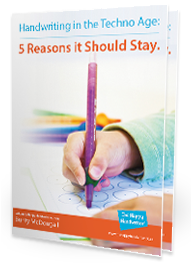 It is our goal to always support the reinforcement of formation patterns for optimal mastery of handwriting. 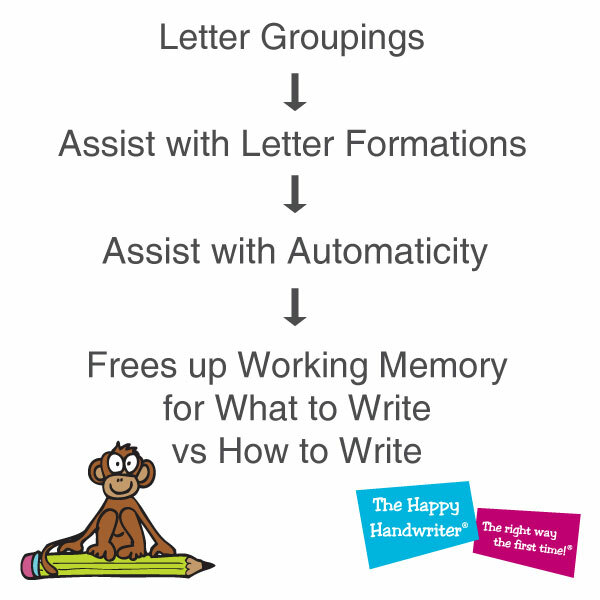 We also know that when children have to think consciously about how to form a letter, it uses up their working memory which should be available for thinking about what to write, and not how to write. And this is why the achievement of automaticity in handwriting is so critical. We can’t afford for our children to waste time thinking about how to write, rather than what to write. And Herein Lies the Power of Letter Groupings. These are the letters that start on the starting point – what we call The Doughnut® – with the c shape. Learning them in the order c, o, a, d, g, q; systematically builds on the motor pathways of their formations. Starting positions are consolidated, and d is learned separately from b, reducing the propensity for b/d reversals. The sequence of the mastery of the sub-strokes for these letters – lines and circles – are the first to be established developmentally. So, it makes sense for these letters to be learned first. Traditionally in South Africa, letter formation syllabuses have linked letter formation order to handwriting patterns. 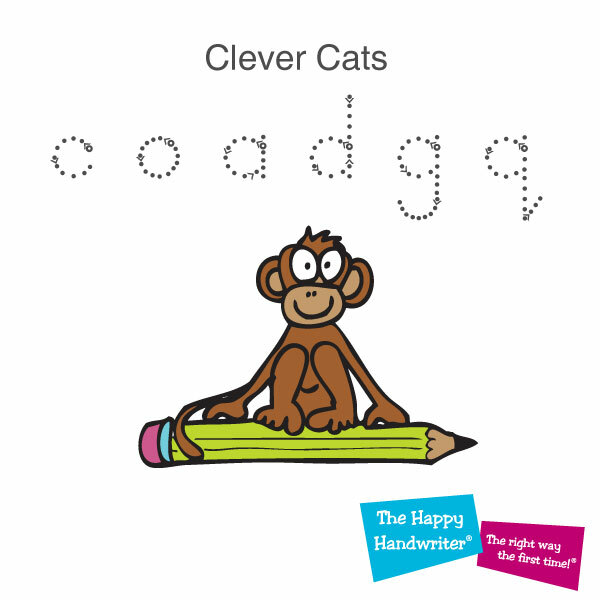 I am not knocking handwriting patterns, but we do need to take note of the fact that the Clever Cat letters were traditionally taught last because they were somehow associated with the wave pattern, which is one of the more difficult for our children to master. I do believe that the wave pattern is best used in preparation for cursive handwriting, should you choose to teach it. The mastery of circles and lines are the foundation strokes for the clever cat letters and once children have attained them, they may use them first to create shapes, and then letters. 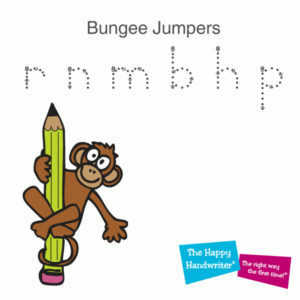 The Bungee Jumpers start on The Doughnut®, dive down and bounce back up on the same line. This formation pattern is, once again, repeated over and over with each letter in this group, thus reinforcing the starting position and formation patterns. Developmentally, the diagonal lines develop after the vertical and horizontal lines, which is why these letters come next. Grouping them together helps to establish correct starting positions and formation patterns. So, once again, we introduce these letters in keeping with the developmental sequence, and not by association with what was perceived to be the easiest writing pattern. The lucky left overs are the letters with inconsistent formations, that don’t fit into our other groupings. 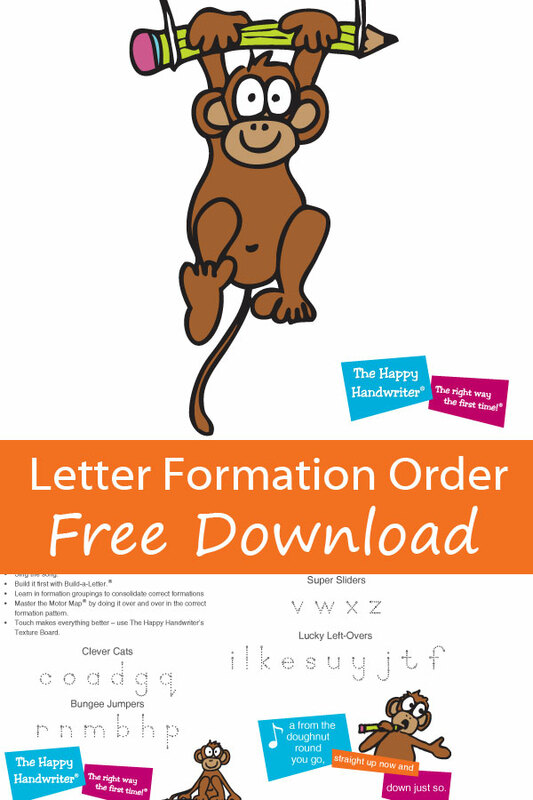 By this time your child will have established the foundations of letter formation – the starting positions and movement patterns – and will be ready to tackle the more diverse formation patterns. 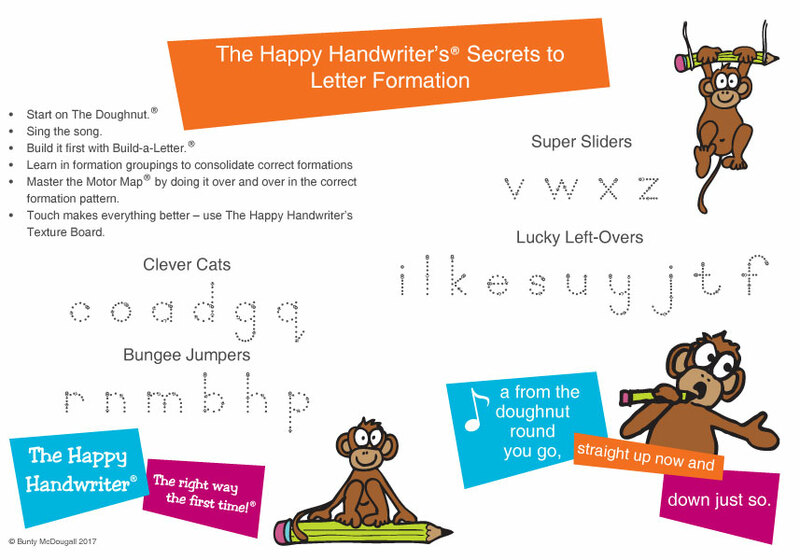 Orton Gillingham have a lovely collection of Pinterest letter formation ideas! What is the Best Way to Teach Letter Formations in the Classroom? When it comes to teaching letter formation, the best thing we can do is to use a sensory motor approach. This includes kinaesthetic, tactile and auditory input. You can see this process in practise here. Practise in the correct formation patterns is also critical and we have got you covered with our range of letter and number formation books. 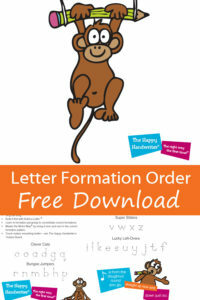 Tags: letter formation activities, letter formation order, letter formation worksheets, what is letter formation? 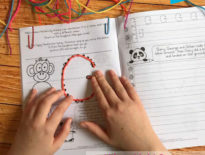 General News	Why a Multi-Sensory Handwriting Curriculum?